Cyprus is the birthplace of some of the great travel-writing clichés of all time, but they’re hard to avoid: it really is a country of contrasts, where old meets new, where the mountains meet the sea, where east meets west and where you can ski and swim in the same day (at least at certain times of year). 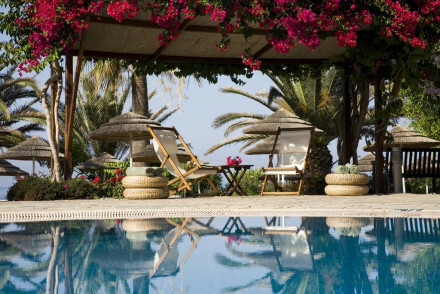 It also boasts an enormous choice of accommodation, but we have whittled it down and selected what we think are the best places to stay in Cyprus. Small though Cyprus is - the Republic of Cyprus, excluding the Turkish-occupied North, covers just 14,400 square kilometres - it still has its pockets of wilderness: the rocky and barren Akamas peninsula, where sea-turtles lay eggs on deserted beaches; the Troodos mountain range (rising to the 1,952m summit of Mount Olympus); and the thickly forested hills of Tillyria where wild boar and mouflon roam. Nicosia, the capital, is only an hour or so from the main beach resorts. It is sadly bereft of charming hotels, but its walled medieval centre has bags of character. Although split in two by the no-man’s-land of the 1974 ceasefire line, it is possible to cross (via a city centre checkpoint) into the Turkish zone for a look at its medieval buildings and shabby but colourful markets. If you want to experience the wilder side of this stunning island, some of the best places to stay in Cyprus are truly remote. Some boast stunning views, whilst others are perfect for those who want to do a spot of birdwatching or amble round country paths checking out the local flora and fauna. 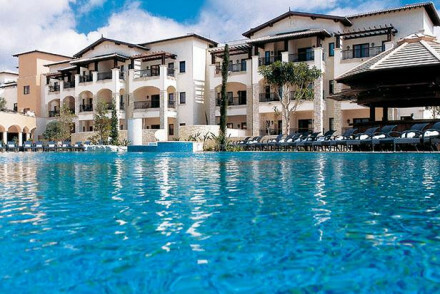 Resort areas range from the somewhat brash Agia Napa and Protaras, near the eastern tip of the island, to the slightly more sophisticated Paphos in the west. Cyprus's two major coastal cities, Limassol and Larnaca, were the island’s original tourism hubs, with large and sunny, but bland, resort hotels along the coastlines in both directions. Cyprus also boasts a number of world-class ancient relics – notably, the Hellenistic mosaics of ancient Paphos; the huge Roman theatre at Kourion; the medieval castles at Colossi, Limassol and Larnaka; and the wonderful frescoed Byzantine churches of the Troodos. The outstanding Cyprus Museum, home to archaeological finds spanning several millennia, is an absolute must. Saint Lazarus Church boasts lovely architecture and a serene atmosphere, so it's worth popping into for a small visit. Whilst Cyprus boasts many beaches, we'd recommend in particular Konnos Bay and Makronissos Beach. The best places to stay in Cyprus to make the most of its cultural highlights can generally be found in the heart of the old towns. Here the scents and flavours of the island's past come to life. You will also find that activities range from year-round golf and tennis to winter sports on the Troodos slopes, scuba diving off the northwest coast, windsurfing and sailing. 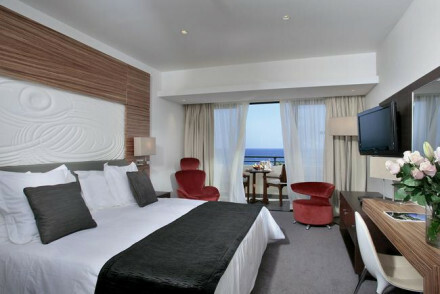 Almyra is a chic, five star hotel on the coast in Paphos. The views are superb, the rooms white and bright, and most of them have a balcony, and there's a fantastic roof terrace and several excellent restaurants to choose from. It's also cool. But reasonably family friendly. 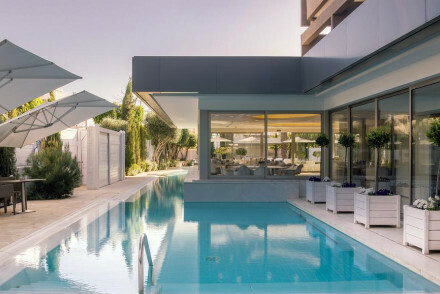 Londa in Palodia, just outside Limassol, is chic, modern and very comfortable. There are generous baths, white rooms, a stunning pool deck overlooking the sea, the food is excellent and there's a luxurious spa. 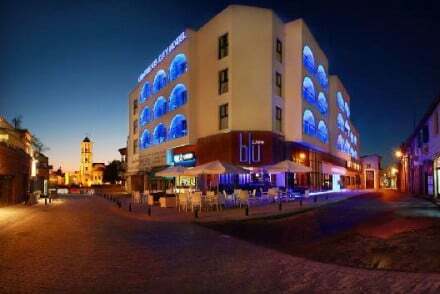 The Livadhiotis City Hotel, in the heart of Larnaca's old quarter, is a stylish yet no frills affair, ideally situated for checking out the fortress or exploring the waterfront and relaxing on the beach. Also good for an airport stopover. Located a few miles from the coast, Little Lodge offers just two bedrooms with shared kitchenette facilities and an outdoor pool. Ideal for families. The beachfront Thalassa Hotel's creamy suites feature large balconies and a private butler in each! With pools, a range of restaurants and a spoiling spa, it's a top-notch coastal getaway. The Library Hotel is a luxurious conversion of a 19th century house in the heart of one of Cyprus' few unspoilt villages. The food is an authentic Cypriot treat and there's a small spa, so you feel more like you are at a house party then a hotel. 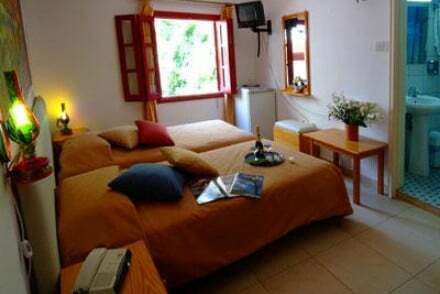 The Paradisos Hills Hotel is a fifteen-bedroom family run hotel in a stunning position in the hills above Polis. This is a great spot for walkers and people who fancy exploring the island on horseback and there's a lovely pool to relax in at the end of the day. 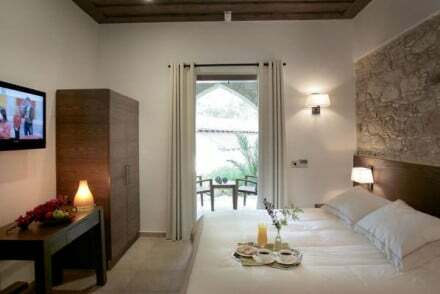 Amarakos Farmhouse is a small, family run guesthouse with just seven rooms arranged around a charming stone courtyard which doubles as a cafe/ restaurant in summer. The food is home-cooked, locally-sourced and mostly organic. The beach is a short walk, there's a good sized pool and there are some beautiful walking trails out of the hotel. The Vasilias Nikoklis Inn is a rustic, but gorgeous, little inn in the Troodos mountain area. There's plenty to do and see in this region - churches, monasteries and mountains to explore and a peaceful, bougainvillea filled pool terrace to come back to. The countryside Leonidas Village Houses boasts five rustic chic self-catering rooms (think exposed stone and wooden furnishings) with lovely views of the area and an outdoor pool. 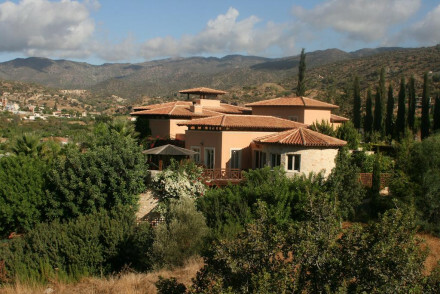 Set in the Troodos mountains, Casale Panayiotis features charming rural accommodation with a superb spa and restaurant. The ideal romantic getaway. Apokryfo is a characterful spot, with rustic chic rooms featuring creamy furnishings and exposed brick work. There are also two villas on offer, sleeping up to eight, plus a spa and lovely restaurant. 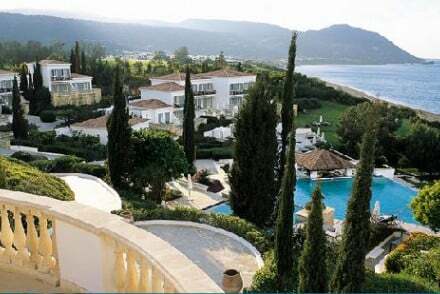 The Anassa is one of the finest of Cyprus's large and luxurious hotels, a spacious place offering private balconies with amazing views, a smart spa and four excellent restaurants. The So Nice Boutique Suites are a hugely stylist 'all suites' hotel on Nissi Bay, with beautiful gardens, and beautifully landscaped pool and an award-winning Japanese restaurant. The Columbia Beach Resort is right on the front of the bay, a beautiful place where everything is generously proportioned and tastefully decorated. It's not too big - there are 95 rooms - so it's still quite romantic. There is also a kid's club. Amathus Beach in Limassol is a huge resort with all the facilities you can imagine, including kid's clubs and a private beach. The Club Intercontinental at Aphrodite Hills is another big brand hotel, this one has a village-y feel. As well as having all the facilities you might imagine you might need in a resort, the Club Intercontinental also has one of the island's best golf courses. 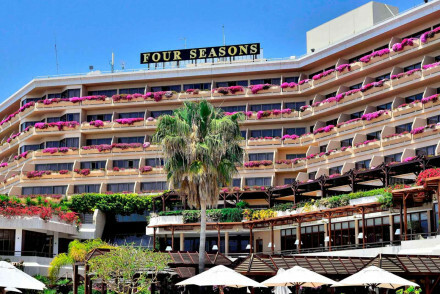 Four Season Cyprus boasts all the mod cons. you'd expect from the name, as well as smart contemporary accommodation and a private beach. An upmarket stay. The Ayii Anargyri Natural Healing Spa Resort has mineral waters which have been attracting visitors since the 17th Century and this refuge from the modern world is still known for its rejuvenating properties. There is a full range of treatments in the spa and hammam and the accommodation is in chic, neutrally decorated, stone bungalows. Kiniras Traditional Hotel and Restaurant is located in the middle of old Paphos. it is full of character and an ideal choice if you want to experience a slice of local life. Visit the old fashioned market area for arts and crafts and get to know the locals in the surrounding bars and cafes. The Library Hotel in a relatively unspoiled traditional village near Limassol. The library of the Library is cosy, and has an open fireplace for cool evenings, there's a postcard perfect courtyard cafe for sunny breakfasts and shady afternoons and a gourmet restaurant, steam and mud bathe and a hydrotherapy pool. The eight rooms and three suites are themed by authors and start from just £55 per night. 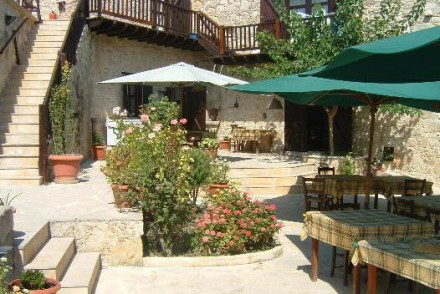 The Ambelikos Traditional AgroHotel has bags of rustic charm: lovely, traditional stone rooms overlooking the surrounded hills, a small spa, cosy taverna and plenty of romance. 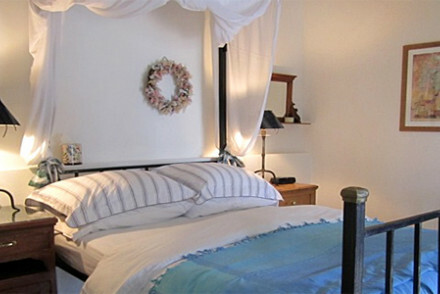 The 15 rooms start from just £59 per night. If you're travelling with family or in a larger group, the best accommodation option is often self-catering. We recommend checking out the wide range with our online partner Booking.com. Whilst never exactly balmy, Cyprus is nicest weather-wise in the summer months - with the average daily temperature rising to 26°C in July and August. This however is peak tourist season, so for a quieter alternative consider visiting in May, September or October. You can fly direct to Larnaka Airport from Gatwick, Heathrow, Newcastle, Manchester, Glasgow, East-Midlands and Stansted during winter. Or you can fly to Pafos airport direct from Heathrow, Edinburgh, Bristol, Manchester, Luton and Gatwick. Flying times vary from four and a quarter hours to five. 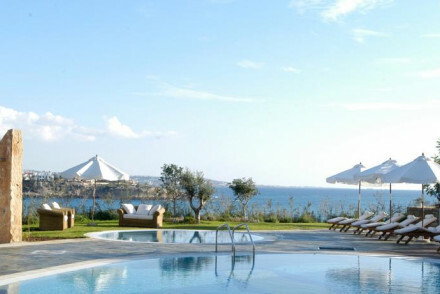 or the best places to stay in the Dodecanese. A traditional building in upper Paphos - the more authentic part of town -makes an attractive hotel with plenty of character. Beaches and entertainment just minutes away. 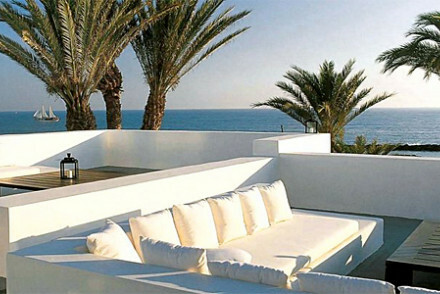 Chic Five Star luxury on the coast in Paphos. Stunning views, unique services, all white rooms and suites with balconies, roof terraces, excellent restaurants, beach access and extensive spa. Family friendly and super cool. 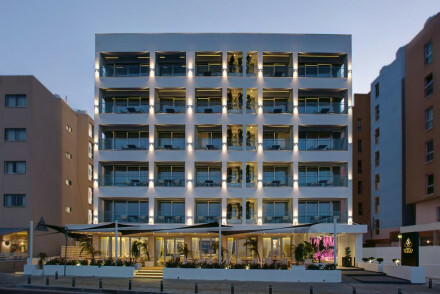 Smartly designed but no frills family-run hotel in the heart of Larnaca’s old quarter, close to the waterfront. Ideal for stopovers when flying in or out, as just minutes from the airport. An adults-only deluxe hotel that combines luxury-living with chic design. Rooms offer sea or mountain views, and the best come with a balcony. Featuring monochrome style throughout (and plenty of marble) the feel is sophisticated and grown-up. Ideal for a romantic break for two. Romantic Break - Some rooms have balconies with views of the Mediterranean! Active Holiday - You can hire a bike from reception to explore Larnaca. Beach Life - Only 2.2km from Finikoudes Beach! Sights nearby - Both Larnaka Castle and Larnaka Fort are within 2km of the hotel. 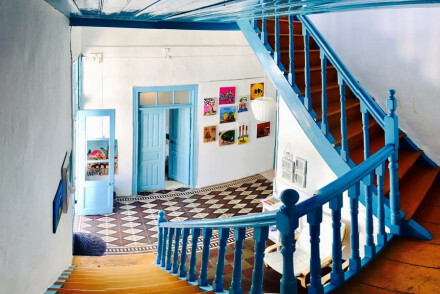 Simple, comfortable rooms in the centre of Cyprus, which have an easy-going, colourful charm to them, with stone floors, terraces and splashes of bright colour along the walls. Just 400 yards from centre of Nicosia this is a relaxed base to discover the city from. Perfect for those on a budget. Stylish hotel, ideally located in the heart of Nicosi’s charming Old City. 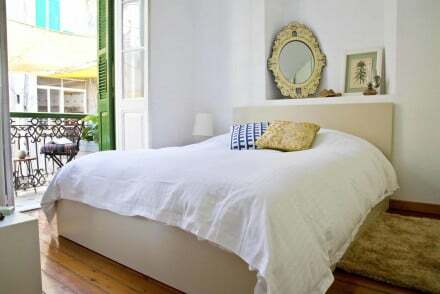 Guests can relax in uniquely decorated rooms, all with bright and modern furnishings, two of which have private balconies overlooking the vibrant Onasagorou Street. The perfect spot from which to explore the Cypriot capital. 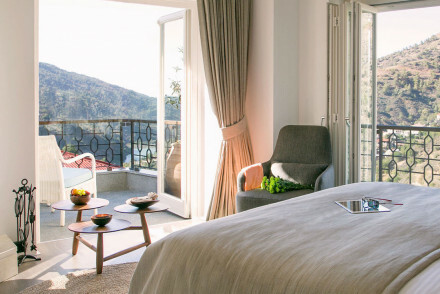 Beautiful adults-only boutique hotel and winery on the outskirts of the village of Iglaz, offering bright and modern suites. Ideal for romantic getaways, the rooms come with views of pine-bearded mountains or the Mediterranean. There is a bar, restaurant, spa, an outdoor pool. Spa breaks - The spa has a Turkish bath, outdoor barrel sauna, wine baths, a heated outdoor plunge pool and massage and beauty treatments. Great walks - Whether strolling along the beach or down the paths that snake through the pine-clad mountains, there are great walks to be had. Private Hot Tub - For a private hot tub experience book the Presidential Suite which has a private balcony with outdoor hot tub and fab views. 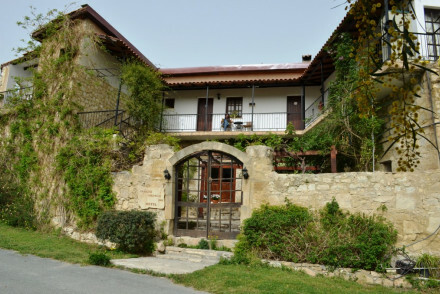 A traditional hotel, authentically Cypriot in design; rooms have stone walls, wooden beams, classic mahogany furnishings and picturesque countryside views. Guests relax by the pool, enjoy traditional cuisine in the restaurant, and take in unique scenery from the terrace; the perfect country escape. A back to nature experience in charming rustic accommodation in the hills. 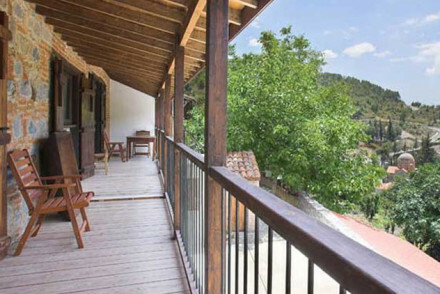 Lovely rooms with balconies have wooden beams, stone walls and beautiful valley views. 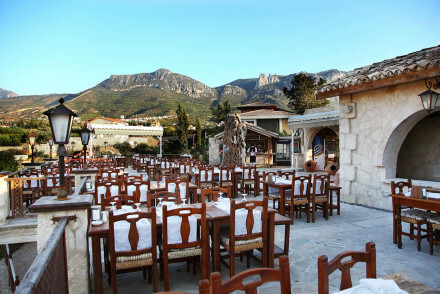 Small spa, cosy taverna, and plenty to do in the surrounding nature. Rural, romantic. Excellent small family-run hotel with a tranquil setting and views of wooded hills, in a quiet pocket of Cyprus. Riding and walking nearby, a good pool for relaxing, or beaches a drive away. This family run guesthouse is the ideal place for rest and relaxation, whilst being only a short drive from the city of Paphos and various beaches. Featuring a stunning courtyard swimming pool and beautiful surrounding gardens. A tranquil getaway. A unique spa healing resort designed as a refuge from the modern world. Simple contemporary chic rooms, suites and bungalows in neutral tones. Fantastic spa with every treatment under the sun. Lovely pool area and a great restaurant. Lots to do around. Romantic and rejuvenating. 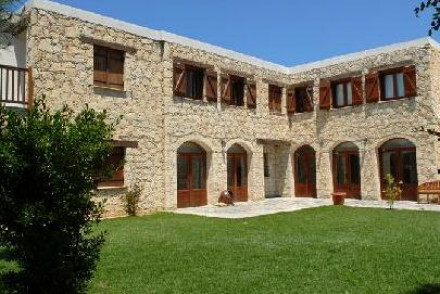 The picturesque Leonidas Village Houses offers an authentic Cypriot holiday experience. The charming traditional houses boast original stone walls and simple rustic-chic furnishings. Enjoy glorious views out over Goudi village and the surrounding mountains. A Cypriot gem. Country Escape - An enchanting village like cluster of stone-made houses, dotted around the lovely gardens and pool. Great walks - There are plenty of beautiful walking trails in the nearby Akamas Peninsula National Park. Local markets - Explore the local markets of Goudhi village and pick up some regional treats. Sights nearby - Located just nine miles from the historic Agios Georgios Church. Hotel-within-a-hotel at a low-rise, luxury resort with an intimate, village feel and great golf. Kids clubs and teens clubs with gym, nine tennis courts, riding, and a private beach club. An historic building in a traditional village has been transformed into a charming small hotel, off the beaten track. House party feel, with small spa and good food. Gorgeously characterful hotel in a sleepy village with an excellent restaurant. Rooms, suites and 2 villas (sleeping 8) in elegant traditional design. Exposed brick work, creamy furnishings, fireplaces and wooden balconies. Delicious food and wine, and a great spa. An ideal base to explore from. Foodies - Delicicous authentic mezzes. Charming little B&B with spectacular views a few miles from the beach. Just two bedrooms with a shared kitchenette in traditional style. White washed walls, paintings, picturesque terraces and a lovely pool. A great spot for a family holiday near the beach. A sophisticated beach front hotel with excellent restaurants, extensive spa, and fabulous sea views. Beautiful creamy suites with ochre hues have huge private balconies and private butlers (for each). A short drive from Paphos and access to all beach life. A romantic spot with privacy of distance. Sights nearby - Surrounding monasteries. archaeological sites of Paphos. 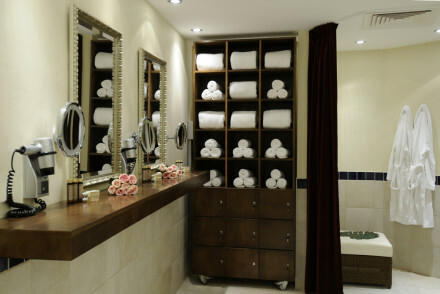 Five Star services and facilities typical of the Four Seasons group. A luxury resort on the beach front just outside Limassol. Wonderful botanic gardens and pool area lead to a private beach. Gourmet restaurants, extensive spa, and contemporary rooms and suites. Romantic and family friendly. Garden - Fantastic sprawling gardens. 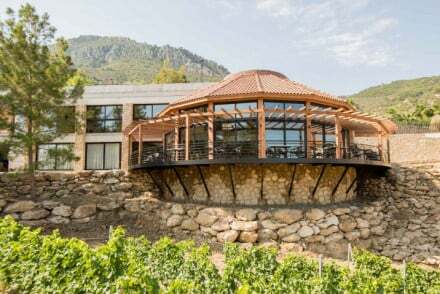 Wonderfully unique hotel in the Troodos mountain region. Chic rural charm throughout rooms and suites - stone walls, wooden beams, fireplaces, beautiful linens. Excellent spa and restaurant with terrace. Plenty to explore in the mountains and villages around. Very romantic. A gorgeous little rustic inn in the Troodos mountain area. Bougainvillea filled terrace and swimming pool area. Plenty to do in the area; sightseeing of monasteries and churches and mountain sports. A rural refuge, and great value. Family run small guesthouse with courtyard restaurant-bar, home-cooked, mostly organic food from the family farm, and a pool. Great walking, birdwatching, and beach nearby. Would suit families.